The African Cup of Nations is being held this year in the country of Mohamed Salah. The Egyptian striker and his team-mates want to win this competition at home, but they will have to face other favourites such as Cameroon, Nigeria, Ghana, Algeria and Senegal. The 24 qualified selections were classified into 6 groups of 4 (A, B, C, C, D, E, F). The CAN 2019 will start on 21 June 2019 and end on 19 July. The final will take place in Cairo. 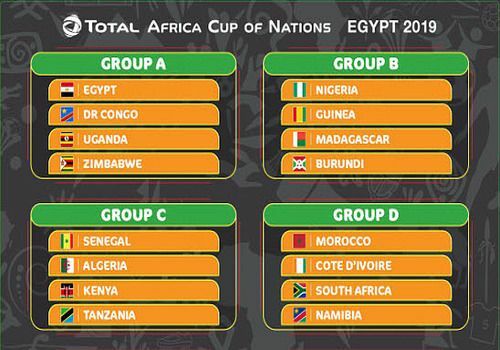 The document available for download lists the 24 teams from the African continent. It is a PDF file compatible with all readers on the market. Extra1x2 is a betting reduction software for Lotofoot. It allows you to bet on more doubles and triples while reducing the number of grids played. Discover the matches between the different clubs that qualified for the Round of 16 of the Champions League. VMA test software, Test your runners and athletes with step-by-step tests on any terrain.